Hair loss can happen in many different ways depending on what's causing it. It's quite normal to shed 50-100 hairs a day. It doesn't result in thinning your hair since the newer ones grow simultaneously. Hair loss occurs when this cycle disrupted. The cause may be due to various factors. Here's all you need to know about its causes and treatment options! It is believed that 7 out of 10 people are reported to be facing with hair loss. Today we shall see the various ways we lose our hair and what we can do about it. There are different types of patterns in both males and females. 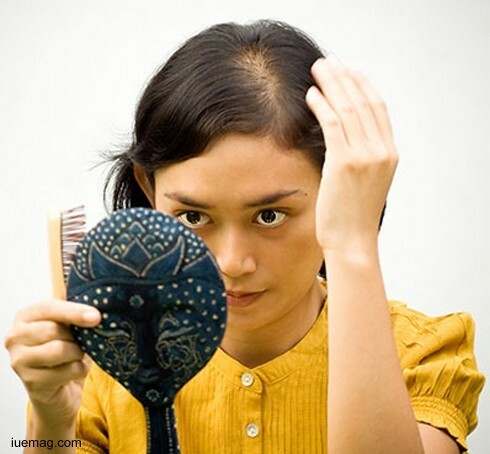 In this article I would be emphasizing on the ‘Female’ Hair loss. Most of us agree that all women lose hair at some point or the other the reasons being different. Hair is made up of protein and is a keratinized structure of our body. The hair on the scalp is essential for reasons beyond beauty such as protection of the scalp, maintenance of homeostasis etc. Average adults have around 1, 00,000 hair on the scalp. The hair growth is approximately 1 cm per month. The hair has two main parts- a.) Hair bud. b.) Hair shaft. Regular Hair fall- Please remember, all the strand of the hair are in different phases of the hair cycle and it is absolutely normal to lose around 50-100 strands of hair per day as part of the fourth phase. Please do not ignore to comb your hair in fear of this. This kind of hair fall is part of the process and you need to lose them to have fresh hair growing. Hormonal Hair fall- This happens when there is an alteration in the hormones of a woman. This is generally seen post pregnancy, during teenage, during menopause. This is pretty common and usually corrected by taking care of the underlying cause and usually resumes back to normal after a couple of months. In any case, it makes more sense to consult your hair expert and get your hormone levels checked if suggested and can also opt for hair treatments or supplementation if required. PCOD- This has become one of the most common causes of hair loss in young women these days. PCOD is the abbreviation for Polycystic Ovarian Disorder or Syndrome. An ultrasound of the pelvis and testing of hormones confirms this. In this condition, the body tends to be producing more of the male hormones. It is essential you consult the gynaecologist in case you are missing your monthly cycles. Genetic- This is the most common cause of hair loss in both the genders. You don’t know the reason; forefathers are to be blamed perhaps! Lifestyle- Another major reason for hair loss is the kind of lives we lead. Stress, lack of sleep, irregular food habits, unhealthy eating, alcohol, smoking allare found to lead to affect the hair. More on hair in the coming article.